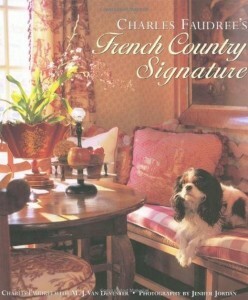 Recently, I shared French Country Signature, the first book I ever purchased by the talented designer, Charles Faudree. I remember being so excited and in love with that book, I hadn’t even finished it before I purchased his second one, the one I’m sharing today. Amazon doesn’t show the date I purchased his first book but they show I purchased today’s book on May 26, 2007. That was a full year before I began blogging. After all these years, his books are still as beautiful, inspiring and relevant as they were back then. 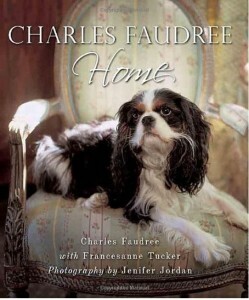 Every time I share what I love about one of Charles Faudree’s book, I end up gushing like a starstruck fan girl. I can’t help it, the beautiful spaces he created and shared in his books do that to me. 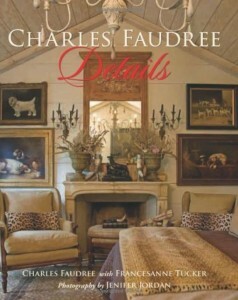 As I was looking back through this book, Country French Living again this evening, it occurred to me that Faudree was the first designer that really convinced me it’s possible to create rooms that are beautiful and even just a little bit elegant, yet completely family/pet friendly and livable. Those two ideas are not mutually exclusive and Faudree proves it. This book is laid out in a most interesting way. The chapters are titled: My Favorite Things, Living Spaces, Entertaining Spaces, Private Spaces, Outdoor Spaces and Finishing Touches. I think my favorite chapter is the one on Private Spaces which focuses on bedrooms, bathrooms, dressing areas and the cozy places we retreat to read, write a letter or savor a cup of hot tea at the end of the day. I adore the style of the photography in all of Faudree’s books. Jenifer Jordan was the genius behind the camera in all but one of his books. She must have really understood Faudree’s work and the strong feelings his rooms evoke when you view/experience them, because she does an amazing job of getting that across to the reader via her pictures. 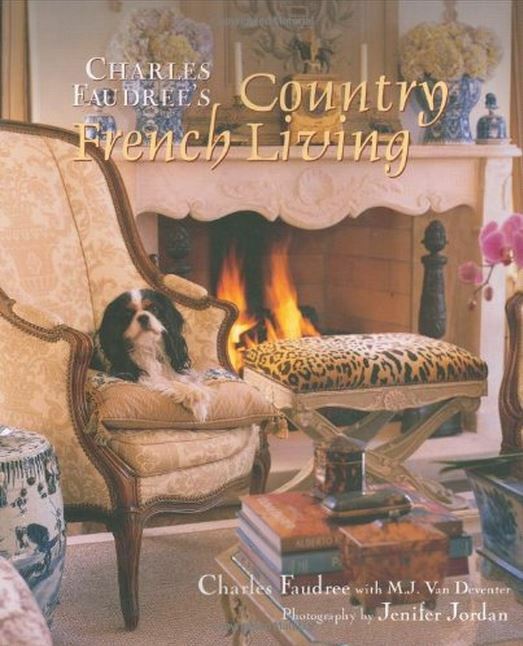 You can read more about this book, Charles Faudree’s Country French Living , at Amazon where I normally buy my books, via the picture link below. During my 39 years of designing and fabricating interior treatments, I too loved this type of book. 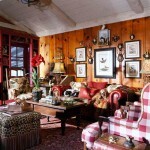 To me it evokes a feel of a time when home was more than just a place between job and being entertained. A place of beauty that fed our soul and the sense of permanence, tradition and family.